This lightweight PC battery level meter provides advanced information about your PC battery health as well as the rate at which your battery is discharging. It calculates this information using historical discharge/recharge data to more accurately predict remaining battery life. The Pro version can be configured to display custom critical alerts. 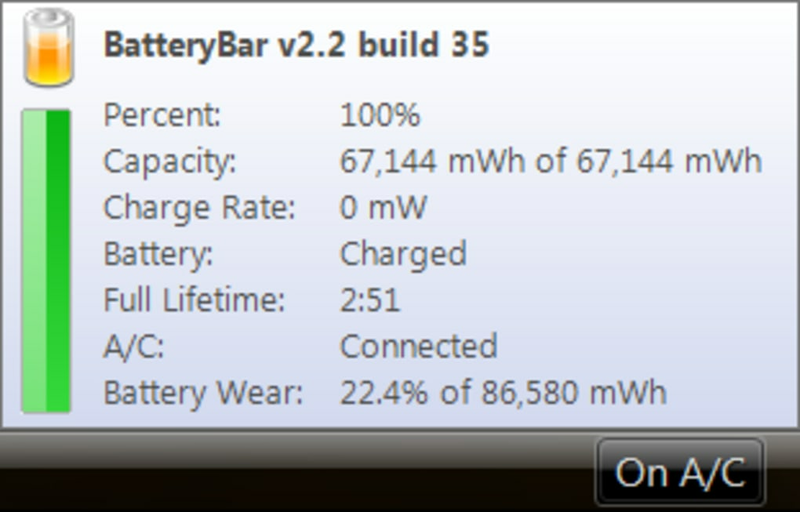 What do you think about BatteryBar? Do you recommend it? Why?